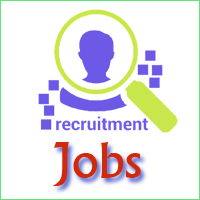 Name of the Recruitment Authority Haryana Public Service Commission (HPSC). Name of the Job Role Civil Judge (Jr Division) Posts. Total Number of Vacancies 107 Jobs. Release Date of Advertisement 27th August 2018. Start Date for HPSC Apply Online 1st September 2018. Closing Date to fill HPSC Online Application Form 30th September 2018. HPSC Exam Date 2018 Notify Soon. Are you aiming for PSC Jobs for State Government Jobs and started to work hard to make your dreams come true. Then, a great opportunity for you candidates has arrived. Haryana Public Service Commission (HPSC) broadcasted a job notification on HPSC Official Website. Furthermore, HPSC Recruitment 2018 is having 107 Job Vacancies. Hence, HPSC 2018 Notification includes Civil Judge (Jr Division) Posts. Therefore, interested aspirants can verify their proficiency with the provided educational qualifications and category wise age limit criterion. In addition to this, you can make a visit to the below sections which offer you information regarding the selection procedure, HPSC Civil Judge Salary details, application fees, the process of filling an application form, and important dates. As a result, the starting date to apply for Haryana HPSC Civil Judge Recruitment 2018 is from 1st September 2018. However, you can get HPSC Online Application Form at HPSC Website – www.hpsc.gov.in Most noteworthy, the final date to apply for Haryana Public Service Commission Recruitment 2018 is on 30th September 2018. Candidates should have completed Bachelor of Laws from a recognized institution of the approved university. Upper Age Limit – 42 Years. There are 107 Job Vacancies for Civil Judge (Jr Division) Posts. You can fill HPSC Recruitment 2018 Online Application Form @ www.hpsc.gov.in As a result, candidates can apply for HPSC Civil Judge Vacancy 2018 is from 1st September 2018 to 30th September 2018. How to Apply for HPSC Civil Judge Vacancy 2018? The officials of HPSC Recruitment 2018 put forth the application procedure mentioned in the following points. In addition to this, you can apply for HPSC Civil Judge Jobs 2018 on or before the last date i.e. 30th September 2018. On the homepage, go to th Advertisements section and search for HPSC Civil Judge Recruitment Notification 2018. 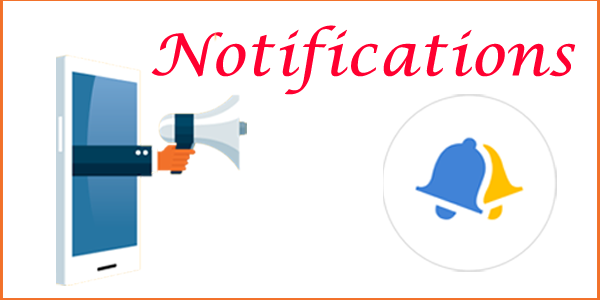 Open HPSC Advertisement Notification 2018 PDF and go through the instructions given in it. Then, read the details regarding HPSC eligibility Criteria and verify your proficiency with the mentioned educational qualifications and HPSC Age Limit Criteria. If you have satisfied the requirements, then click on HPSC Apply Online link to open an application form. Fill all the details in HPSC Online Application Form and upload all the scanned copies of signature, thumbprint & passport size photo in the prescribed format. At last, make a payment of category wise application fees through online channels i.e. with the help of Net Banking, Credit or Debit Cards. Finally, take a hard copy of the fees receipt and filled the HPSC Online Application Form for further use. Advertisement Release Date 27th August 2018. Initial Date for HPSC Apply Online 1st September 2018. Last Date to fill HPSC Online Application Form 30th September 2018. Call Letter Issue Date Updated Later. The instructions given on this page relating to Haryana Public Service Commission Recruitment 2018 is just for reference purpose only. Furthermore, you can refer to the HPSC Civil Judge Recruitment 2018 Notification, if there is any arrival of queries. In addition to this, contenders can also download HPSC 2018 Notification PDF from the link given below or from HPSC Official Website. Finally, if contenders want to stay updated, you can also make a habit of checking Sarkari Naukri for more Govt Job Advertisement Notifications and also visit Syllabus, Previous Papers and Admit Card.